Phi Phi is a very popular spot to visit for Scuba Diving. It is easily done by a day trip from Phuket. Scuba diving day trips phi phi island are offered on a daily basis and is certainly one of the most popular trips do from Phuket. Phi Phi consists of 2 main Islands, Phi Phi Ley and Phi Phi Don and 2 smaller Islands, Bida Nok and Bida Nai. The best diving is on the west coast of Phi Phi Ley and the Bida Islands. The Phi Phi Islands are famous for the variety of marine life to be found whilst diving, this can include turtles, blacktip sharks, leopard sharks and large shoals of reef fish. A typical diving day trip from Phuket would normally include one of the Bida Islands, either Turtle Rock or Palong Wall. On the way back one either Shark Point, Anemone Reef or Koh Doc Mai will be the last dive site. 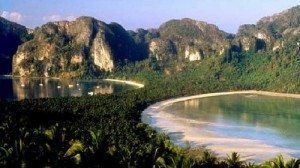 Bida Nok and Bida Nai are two small uninhabited Islands to the south of Phi Phi, they are suitable for any level of diver. Particularly Bida Nok, which has a deep vertical wall to the north and a very shallow quiet bay to the south, ideal for beginners. Palong Wall and Turtle Rock are on Phi Phi Ley, just north of the infamous Maya Bay, featured in the movie “The Beach”. 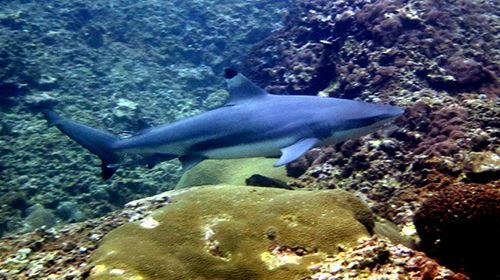 Palong Wall is a very shallow wall with a plateau at about 6-8m where blacktip sharks love to swim. On a good day you can spot many blacktips here, going deeper it is possible to find leopard sharks and on both Turtle Rock and Palong Wall there are a number of turtles. Scuba diving day trips phi phi islands can be arranged almost any day of the week, contact Merlin Divers for more details! All dive trips going to Phi Phi offer 3 dives. The dive time is limited to 50 minutes and the dives are strictly planned as no-decompression dives. All boats offer lunch which is a buffet with plenty of food for everybody. For the customers there is also plenty of drinking water, coffee and tea, fruits all day long included in the trip price. Offering a little snack or even a pancake on the return journey has become customary as well. 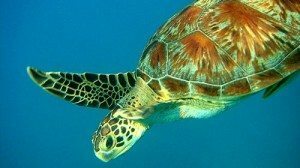 Scuba diving day trips phi phi are a full day of diving but for many divers it can be an unforgettable day with plenty of fish and corals and if lucky you can see leopard sharks, octopuses or turtles. If you are really lucky the whale shark might show up just when you are on a scuba dive trip to Phi Phi from Phuket.